The Most Common Behaviors that can Wreck your Health and Finances! The connection between one’s health and one’s savings might not be so clear at first glance. For most of us, we don’t knowingly indulge in actions that can burn a hole through our wallet. But nevertheless, there are certain behaviours we indulge in that can ruin our health and play havoc with our finances. And as health bills and medical expenses pile up, we may wish we had done better at heeding the wise advice that could have saved us a large doctor’s bill. Since even a $500 medical bill is something that 6 out of 10 Americans can’t afford to pay. Here are the most common behaviours that can lead to ruined health and loss of savings. Reckless driving and car-related accidents. In the latest data released by NHTSA, 37,461 people died on U.S. roads in 2016 due to car accident fatalities. They note this is an increase of 5.6 percent from the previous calendar year. While dying from a traffic accident is obviously the worst-case scenario, less severe injuries are more likely. In 2013, 2.31 million injuries were reported in motor vehicle crashes. But they are not the only type of trauma people experience in a car accident. Smoking and its related diseases and issues. It’s not just the pack of smokes that cost a pretty penny. The CDC reports smoking-related sickness and disease costs more than $300 billion per year in the US. This is broken down to $170 billion for direct medical care and over $156 billion in lost productivity. Another way to look at it? 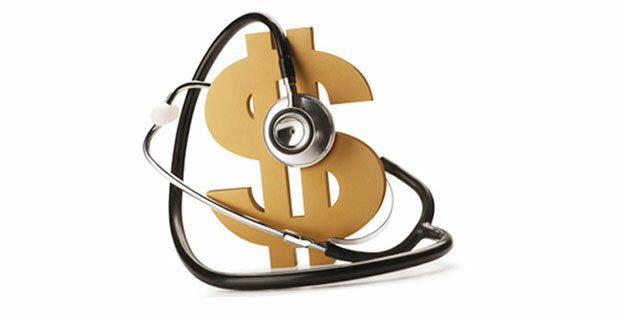 Of every 10 cents spent on health care, imagine that 90 cents are spent on illnesses related to smoking. In a recent analysis, 15.2 percent of Medicaid expenses and 9.6 percent of Medicare were attributable to smoking. Other health care spending by the government for smoking-related illnesses came to 32.8 percent. Fifty years after the first warnings about smoking dangers, tobacco continues to be the most preventable cause of death in the US. Binge drinking and alcohol use dependency. Do you consider yourself a moderate drinker? But then binge drink on the weekends or once a month? You might want to rethink your alcohol habits. Fortune.com reports that the number of adults who binge drink once a week could be near 30 million. And a similar number may have an alcohol dependency issue. The consequences for overdoing it on the drinking caused 88,000 deaths per year between 2006 and 2012. This figure included alcohol-related accidents and violence, as well as medical conditions due to alcoholism. The 88,000 deaths is more than twice the figure reported from heroin and opioids related deaths per year. The cost of excessive drinking influences many aspects of an individual’s life. One of the primary ways that it damages the US economy includes the loss of productivity due to nursing hangovers the next day. The CDC says excessive alcohol use cost the US $249 billion in 2010. And most of these costs were due to binge episodes. The definition of binge drinking is when a person drinks more than 4 or 5 drinks during one drinking session. Each of these areas shows how poor choices not only lead to weighty health issues but also huge financial costs. Learning self-control and understanding emotional triggers is essential to staying healthy. This is a little-known but pivotal key to making good health choices. Pay attention to situations that can cause you to behave in ways that sabotage both your health and your finances. Learn about yourself and the areas and times when you are at risk of dangerous behaviours. Doing so will allow you to put safeguards in place that will protect you from decisions that could come with a high health price tag.